What have you been listening to lately? 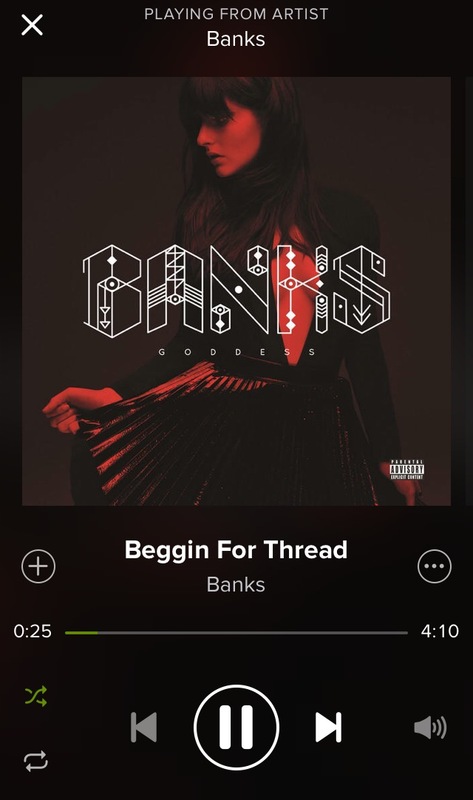 As I clean the apartment in preparation of a mini Super Bowl party (Got Pats, I guess), I’m listening to Banks, a singer a friend recommended to me. I’m really into her lush, electronic sound right now and its making cleaning a little easier. That same friend (she is an amazing music resource) was listening to Valerie June at our office this week and it brought me back to seeing her live this summer. Her voice is gorgeous and she was wearing a sparkly pink skirt. I saw her a few times around the festival, and even off stage you could tell she was a star. Next > New Year’s Resolutions: How Are We Doing?